This week’s MMMM looks at a figure some collectors may not know about – The Omegaman! 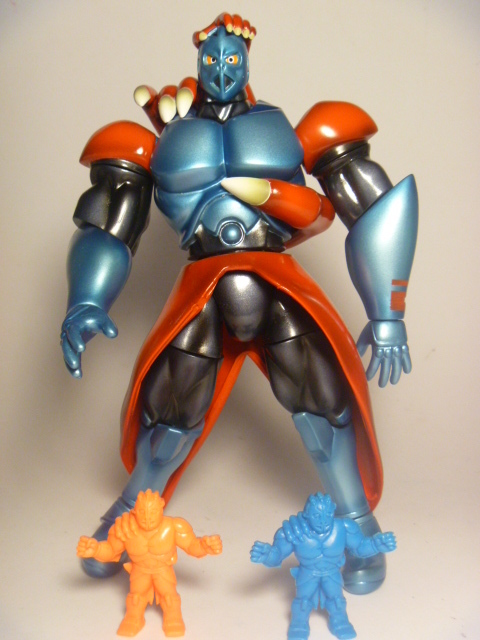 In the Kinnikuman storyline, The Omegaman is a character that can transform into other characters. He was not one of the figures selected for the Mattel line of M.U.S.C.L.E. figures. However, he is one of the original kinkeshi from Part 29. The figures from Part 29 are not easy to locate in their original form, but were re-released in a box set in 1991. 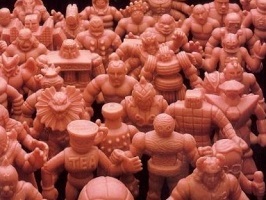 These are the two kinkeshi seen in the picture above. It wasn’t until I received the 1991 box set that I realized just how cool The Omegaman sculpt looks. For those that own the 29th Anniversary 418 figure kinkeshi set, you’ll know that all of the figures are slightly smaller than the originals and therefore don’t highlight those “chunkier” like figures such as The Omegaman. 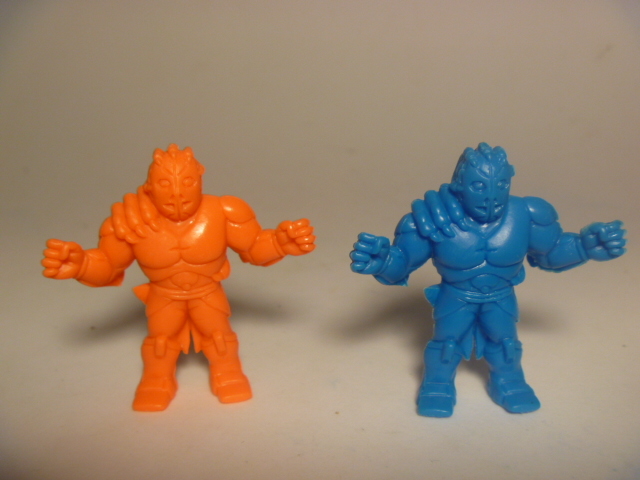 The 1991 re-issues are the exact same size as regular Kinkeshi but have a shinier, more M.U.S.C.L.E.-like texture. This is why I love them. I bought the Kinkeshi Part 29 set mainly due to the fact there are two different Satan Cross figures in there, but discovered a hidden gem in The Omegaman. There are also 2 versions of The Omegaman Romando figure though, again, he’s not easy to locate. The red version can be seen in the picture to the left. I so desperately wish this figure was included in the M.U.S.C.L.E. line, but, unfortunately, figures this high in the Kinkeshi parts didn’t make it – unless there is another Super Rare discovery coming someday. So for now, you’ll all have to enjoy The Omegaman figures that are out there. This entry was posted on Monday, July 29th, 2013 and is filed under UofM News. You can follow any responses to this entry through RSS 2.0. You can skip to the end and leave a response. Pinging is currently not allowed.